Russian TV host and celebrity Kseniya Sobchak has submitted to the authorities 105,000 signatures in support of her presidential bid on the final day allowed for this procedure by law. A representative of Sobchak’s elections HQ, Timur Valeyev, told reporters that his colleagues have gathered a total of 130,000 signatures in support of Sobchak, and have selected the 105,000 required by law. He also said that the signatures were collected in all regions except Crimea, Sevastopol, and Chechnya. This hardly comes as a surprise as in the initial stages of her campaign, Sobchak stated that Crimea and Sevastopol were still “Ukrainian territory” – a statement which was not taken lightly in these regions. Sobchak is running as a Civic Initiative party candidate, but presents herself as a “none of the above” candidate, with the objective of giving voters who cannot choose from any of the other candidates the opportunity to express their feelings and political position. 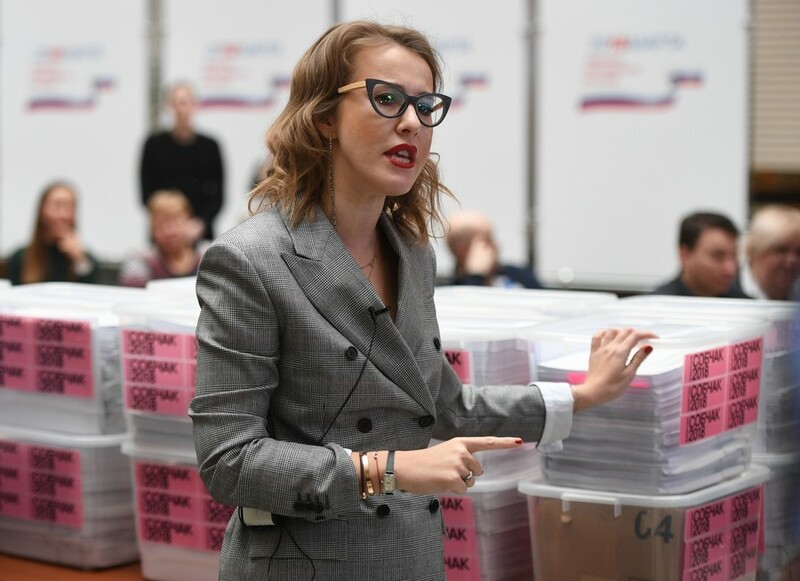 Sobchak submitted her supporters’ signatures on the last day allowed for this procedure by law, along with seven other hopefuls – six representatives of various political parties, and one potential independent candidate. However, one hopeful – Mikhail Kozlov, who is backed by the Social Protection Party – submitted empty forms with no signatures, and explained that he had “misjudged his opportunities, especially the financial ones,” when he decided to run. The Central Elections Commission now has 10 days to check the authenticity of the signatures and make the final decisions on whether or not to register the presidential hopefuls as official candidates. Two candidates – Vladimir Zhirinovsky of the Liberal Democratic Party and Pavel Grudinin of the Communist Party – have already been registered because they are running on tickets from parties with parliamentary representation. Current Russian President Vladimir Putin is running for another term as an independent. On Monday, representatives from his election headquarters delivered around 315,000 paper forms with supporters’ signatures to the main office of the Central Election Commission in Moscow. A public opinion poll conducted in the third week of January showed that 67 percent of the people support Putin in the upcoming election.